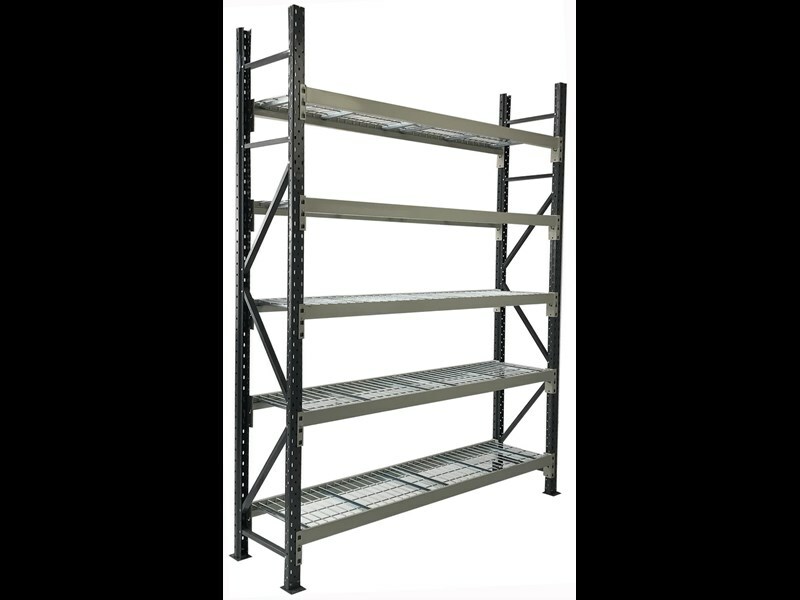 Multi-purpose, easily adjustable long span shelving. Supplied with 5 fully adjustable levels. 350kg uniformly distributed safe working load per level. Powdercoated dark grey frames with footplates. Powdercoated light grey clip-in beams with drop-in locking pins. Frame Pitch of 50 mm allows for easy shelf adjustments. Chrome drop-in mesh shelves with inbuilt support bar.